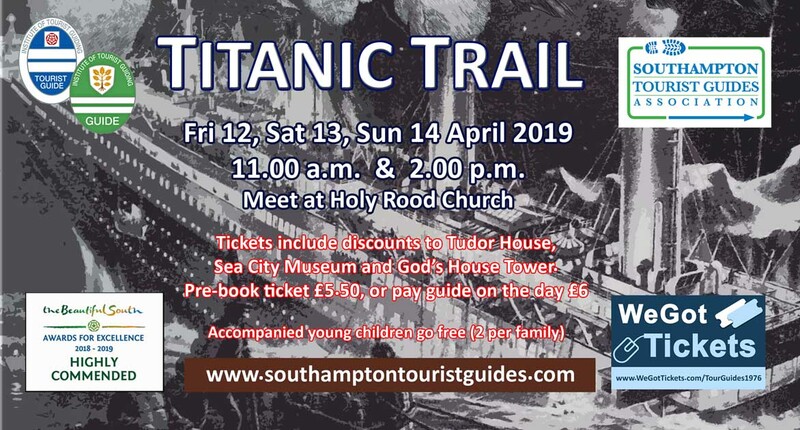 Always a popular walk, which will take place over the three days that Titanic was at sea on its fateful maiden voyage in 1912. It was then to become the greatest maritime disaster in Southampton's long history. associated with the doomed ship and will finish in the historic Oxford Street.